Maybe you’ve been hearing some buzz about 2017 being designated as the International Year of Sustainable Tourism. (Or…maybe you have no clue what I’m talking about.) 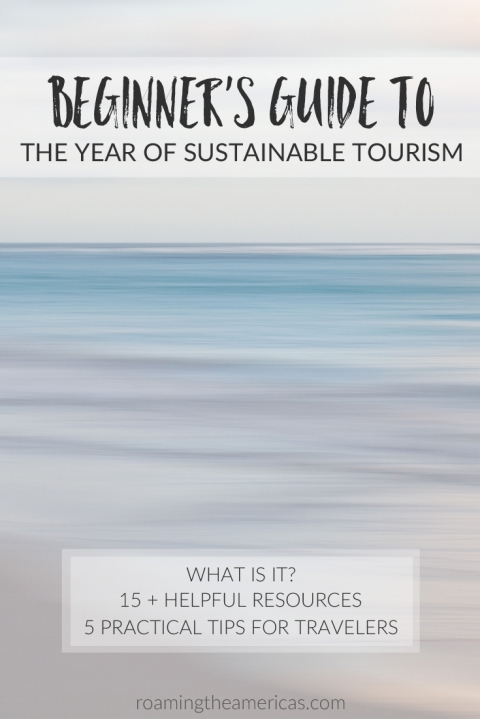 Either way, if you aren’t quite sure what the Year of Sustainable Tourism means for you or how to get involved, this beginner’s guide is for you. Why should I care about sustainable tourism? Essentially, sustainable tourism aims to minimize the negative impacts of travel on the environment, economy, and culture. Wait, Naomi…so are you saying travel is bad? While I love the ways that travel connects us with new people and enriches our lives in many ways, it’s also important to recognize that it can have negative effects on the world and the places we travel. Most of the money spent for travel doesn’t stay in the local economy–it goes to airlines and hotel and restaurant chains owned by people outside of the community. Frequent travel that uses excessive fossil fuels contributes to pollution and climate change. Too many people visiting a location can be harmful to the site itself, local wildlife, and the natural environment. Ironic, isn’t it? Some of the places that we love so much are literally sinking under the weight of visitors. Some places, such as Isle au Haut (Acadia National Park in Maine) and popular cities in Italy, have had to restrict the amount of tourists allowed to visit in order to prevent the location from being destroyed or becoming unlivable for locals. Some tourists visit memorials or religious sites without learning the significance and history of these places. They show up for a selfie to say they’ve been there and sometimes show disrespect to places that have deep significance in the local culture. I promise it’s not all bad. But it’s important to understand the problems first, so that we understand why sustainable tourism is important. Once we understand why it’s important, we need to look at what it is so that it doesn’t just become a buzzword or marketing gimmick. Think about food labels and the meaningless phrases companies use to persuade you to buy their product, like the ubiquitous all-natural. What we don’t want is for sustainable tourism to become the all-natural of the travel world. So let’s dig into what it means and looks like on a practical level. What exactly is sustainable tourism, anyway? I generally use 2 terms here on Roaming the Americas: sustainable tourism and responsible travel. They’re pretty much the same thing with a few nuances in how I use them. Sustainable tourism minimizes the negative effects of travel on the culture, economy, and environment. All forms of tourism can become more sustainable, and I see this as a sort of umbrella term for some of the other terms you may hear, like eco-tourism, community-based tourism, responsible travel, and ethical travel. Making tourism and travel more sustainable is the overall goal, and the effort must come from tourism providers and individual travelers alike. Responsible travel, on the other hand, gives the sense that the traveler is taking the initiative to not harm the communities they’re traveling to. It’s a mindset of traveling to connect, learn, and share experiences across cultures, all while seeking to minimize our negative impact on the local culture, economy, and environment. Engaging with culture is about experiencing a place as a local knows it, learning, and respecting the culture and community you’re visiting. Where do locals go and how do they live their everyday lives? What is it like to live there? How can we have meaningful interactions with them without asking them to simply “put on a show”? Supporting the community is about supporting the local economy and community development through purchasing from local businesses and supporting the work of reputable non-profits. Protecting the environment is about minimizing our negative impact on the environment of the places we’re visiting. Whether through adopting Leave No Trace principles in outdoor adventure or through booking eco-friendly tours or lodging, the focus is on caring for a destination as if it were our own home and preserving it for future generations. 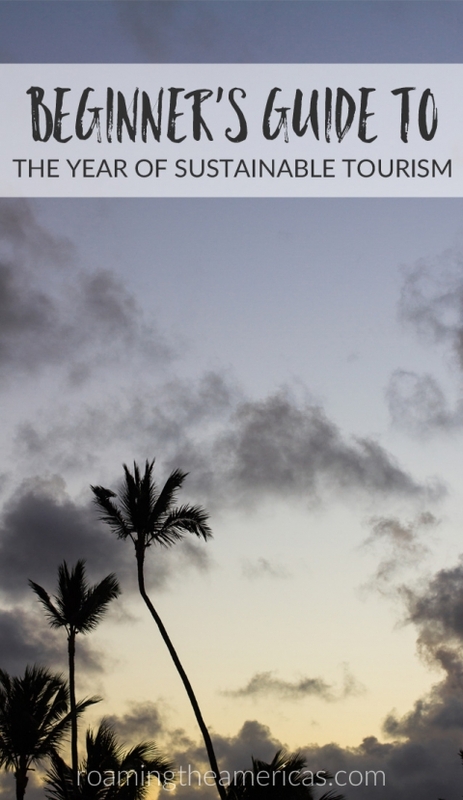 What is the International Year of Sustainable Tourism? The International Year of Sustainable Tourism is the UN’s “theme” for 2017. 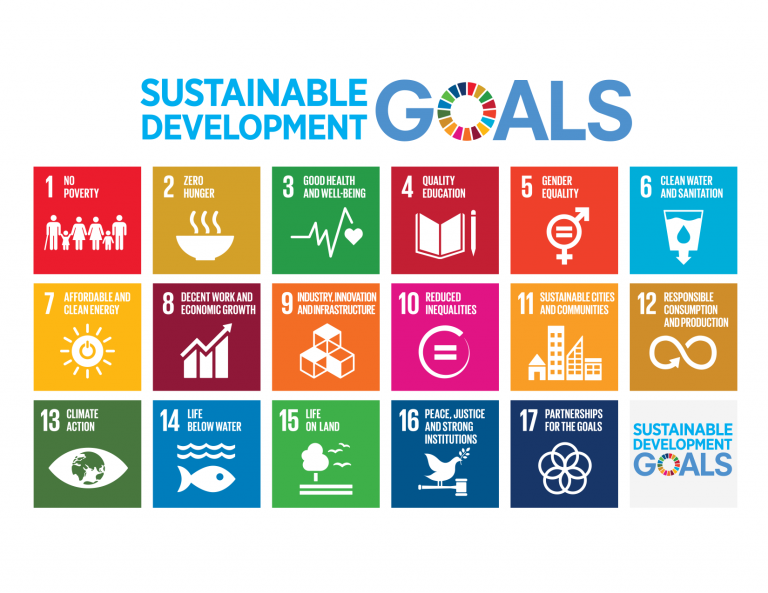 It’s about using tourism to work toward the 2030 sustainable development goals, and they hope to raise awareness about sustainable tourism in order to change policies, business practices, and consumer behavior. How can I get involved in the Year of Sustainable Tourism? While I love all the in-depth resources on the IY2017 website, a lot of it is focused on the big picture idea of changing policies and the entire industry. Practically speaking, what can we travelers actually do? This is the main reason I’m sharing this series. It’s so everyday people who want to have a positive impact (but who maybe don’t live in Tiny Houses or make their own goat cheese or who occasionally drink out of Styrofoam cups) can figure out how to incorporate sustainability into our travel. 1. Learn about where you’re going. 2. Look for a sustainability or responsible travel policy when booking. Whether you’re purchasing travel gear or booking a hotel or tour, keep an eye out for a sustainability or responsible travel policy on the website. For example, I love Cotopaxi’s Gear for Good philosophy and Urban Adventures’ commitment to responsible travel. If a company doesn’t have one, reach out and inquire. Let them know that supporting the local economy, protecting the environment, and being respectful of local culture are important to you when you travel, and ask about whether those are things they incorporate. It’s usually evident whether a company is just trying to look good with marketing tactics or whether they really share a commitment to sustainability. Sometimes it’s simply not communicated well on their about page (if you’ve ever tried to sum up your experiences and passions in a bio or about page, you understand the challenge). But if they’re really committed to sustainability, it will be woven into their philosophy and they should be able to tell you the ways they strive to incorporate it. 3. Give a shout out to the companies and organizations doing it well. Know a mom-and-pop farm that grows organic produce and serves it up in their restaurant? Retweet them, give them some love on Instagram, write a review on Google or TripAdvisor, or recommend them on Facebook. You don’t have to be a blogger or have tons of followers. In fact, most companies love it when regular people share their work with friends and family. Be a responsible tourist: a PSA from JetBlue and the U.S. Fish and Wildlife Service – Your Beautiful Caribbean from JetBlue on Vimeo. 4. Connect with like-minded travelers. Follow the UNWTO’s official hashtags #IY2017 and #travelenjoyrespect to see what other travelers are saying, find great resources, and connect with a community. 5. Commit to doing one thing to incorporate sustainability on your next trip. Whether you’re taking a road trip, a staycation, or traveling internationally, what is one thing you can do to be a responsible traveler? You could simply take a reusable water bottle with you, take public transportation, buy from a locally-owned business, or try a city bike sharing program. Here are even more simple tips for responsible travel to give you some inspiration. Visit.org–“Visit.org partners with nonprofits around the world to offer immersive travel experiences that benefit local communities.” You get an amazing experience (like street art tours, surfing, cooking, or weaving), and your funds are reinvested back into the host community. I’d love to know–what is one way you want to incorporate sustainable tourism in 2017? Let me know in the comments! This is Part 3 of a short series to kick off 2017 as the Year of Sustainable Tourism–enjoy the rest of the series and a few other articles below!